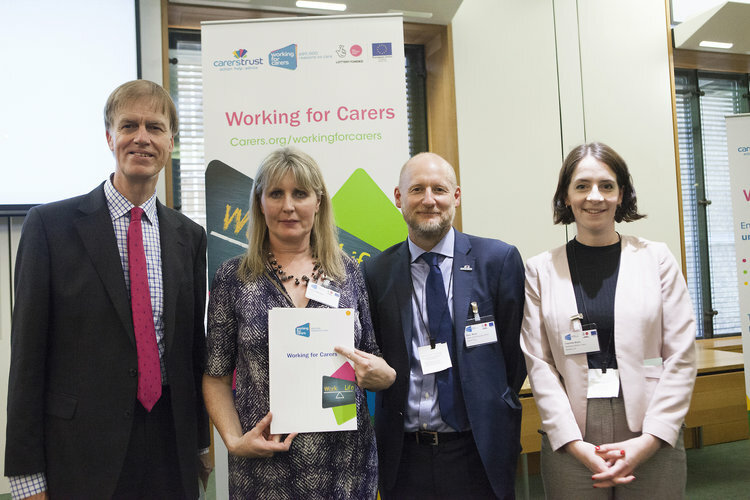 Stephen has hosted a reception in the House of Commons to celebrate the launch of Working with Carers, a project designed to assist and support carers with job and education opportunities. The project, set up by the Carers Trust UK, aims to support unpaid carers across Greater London, and provide them with guidance in finding careers, or returning to education, focusing on over 25s. Speaking at the event, Stephen said:“I am very glad to support the project. Unpaid carers play a vital role in our society, it’s pleasing to see them receiving an accessible support network”. Stephen also took to Twitter to pledge his support for the project, photographed alongside other speakers, in order to highlight a need for accessible support for carers. According to Working for Carers, ‘close to 70% of carers have quit work or reduced their hours due to the stress of juggling work with care.’ The project is being jointly funded by the Big Lottery Fund and the European Social Fund.